When I started this blog, I’d hoped to keep its content strictly academic and pedagogical in nature. As everyone who teaches knows, however, events in the world outside often make themselves become the stuff of what goes on inside. Our recent elections have become just such an event in my classes, and I’m certain in yours as well. I thought I’d share with you something that happened between me and a student as we talked about her final paper for the semester, and how the usual spaces between class work and the world outside, between teacher and student, became blurred in a completely unanticipated way. What I describe below is a version of precisely the set of ideas I want this blog’s title, Domestic Issue, to evoke in the reader. A new year and a new semester are upon us, and I will be meeting students this week, some of them whom I’ve had in class before, and some for the first time. I will be saying “Welcome to class” to all of them, of course; but if you–yes, you, the person now reading the very sentence I am now writing–have found your way here because you happened to see the URL address for this blog in your syllabus and became curious (I really am speaking to you in particular), then allow me to speak to you for a bit. 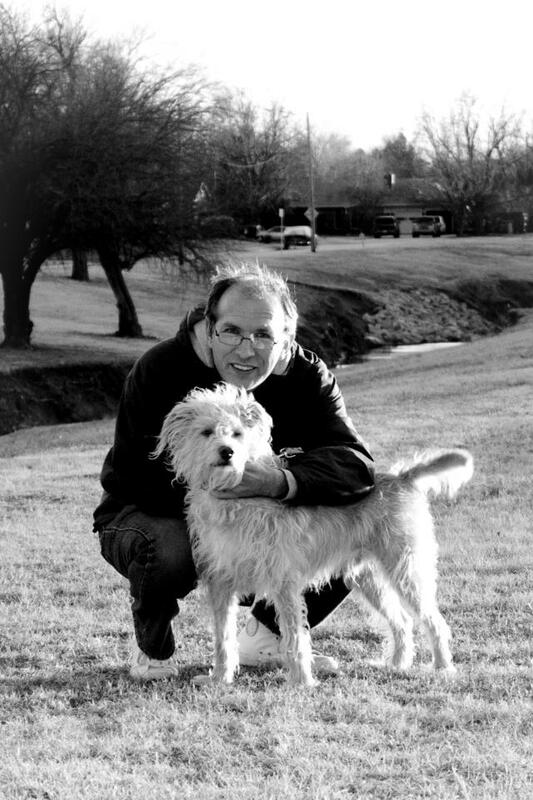 With his not-very-smart-but-friendly-and-faithful boon companion, Scruffy. Hello to my students, both new and returning, this fall. If you are reading this, I want to affirm your natural curiosity: A crucial part of being truly, fully successful at the College Thing is curiosity, and I encourage you to give free rein to that impulse in you–not just in your classes, either, but in Life more generally. You can’t know whether something is going to be boring until you give it a chance to bore you, now can you? As long as you’re here, I invite you to have a look around, and even leave comments if you’re so inclined. Under the “About” tab you’ll find a brief bio and some basic assumptions I have about college. The various tabs that have Domestic Issue in their title are concerned with my ongoing book project. The “Teaching” tab is a round-up of examples of paper assignments for my classes; you’ll be seeing some of these as the semester progresses. Finally, in addition to these posts, the “Home” page has links to various things that you may find of interest, if not actually helpful to you. Now: if you’re really curious, below the “Continue reading” link you’ll find a long-ish discussion of what I think are some of the important questions that community colleges and their various audiences–students and their families, faculty and administration, businesses, and governments–are encountering and need to give some serious thought to. All of those audiences will say that students are here “to get an education,” which is the right answer. But if you ask them what that means to them, they may all list pretty much the same kinds of things, but I suspect that how they prioritize them will differ. So. If all of that sounds intriguing to you, by all means continue reading. If not, that’s okay, too–as I said above, these ideas will still be showing up in various ways, mostly indirectly, as the semester progresses. I wish you all the very best this semester. It is my privilege to be teaching you. I will try my best to do right by you. 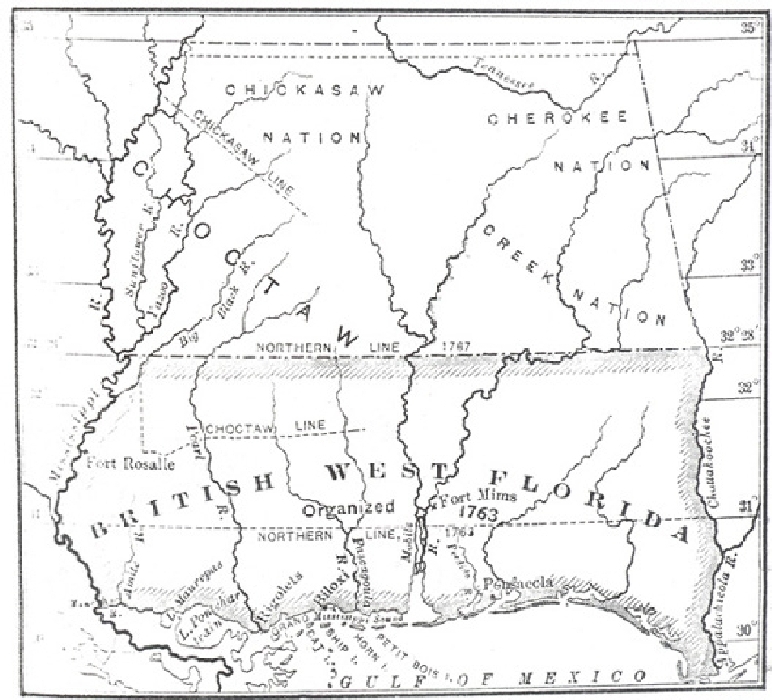 18th-century map that serves as the basis for the territorial claims of the micronation of the Dominion of British West Florida. Image via the “History” page of the Dominion’s website, here. Note: Occasionally, as happens with all teachers, I’ll read something that will lead me to think, “With a little pushing/pulling/mulling over, that just might make for a good writing assignment for my students.” So, some of those will appear here under the “Teaching Idea” category that you’ll see over in the right-hand gutter. I don’t pretend that these are in any way finished; rather, these are more like my thinking “out loud” in this space, with a tacit invitation to whoever might be interested to weigh in with comments. A couple of weeks ago, I read this article on micronations in Motherboard and immediately thought it might have potential for a research project for my Comp II students (that is the “research paper” composition class we teach at Butler). Almost immediately, other things came up that claimed my attention, and I didn’t do anything more with the idea until yesterday when an article on the Dominion of British West Florida popped up in my Facebook feed, and the next thing you know, I found myself adding some links to micronation websites over on the right-hand side of my blog as a future resource for my students. We in our department are moving toward demanding more research from our students throughout the Comp sequence, and I think that, at least as this half-formed thing looks in my head at the moment, it would certainly fulfill that goal. Also, I want to give those so inclined the opportunity to be creative and/or learn more about a topic or issue they think is important; the Motherboard article’s mention of Westarctica‘s serving primarily as a site to inform people of conservation issues and climate change made me see that this project could be serious as well as fun. Finally, the idea of micronations dovetails in interesting ways with my academic interests in the idea of place and, in conjunction with the book project, with the idea I’ve been writing about regarding the New World as a heterotopic space. So here’s a tentative list of elements that I will require my students to address in this project.